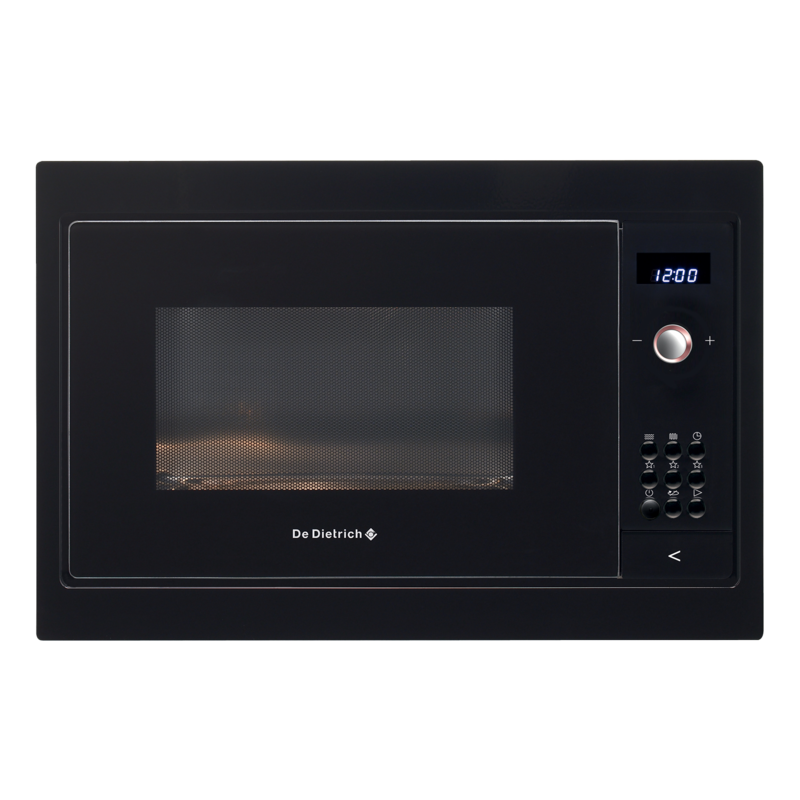 Its integrated installation kit allows this Solo microwave oven to fit elegantly into a standard cabinet recess, giving you full functionality: an electronic display and preset programmes, a stainless steel cavity and a turntable with On/Off control. Programming is easy, with instructions that are very precise and easy to read. All the available functions are immediately identifiable on the white electronic display panel. Six cooking positions are offered so that you can mix up your dishes and keep things interesting. Thanks to an internal airfl ow system, any condensation from the cooking process is avoided, ensuring perfect visibility into the oven.